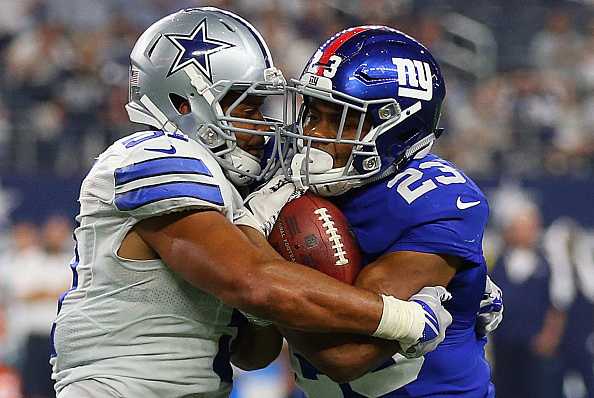 After the disaster that was last night’s loss by the Giants to the Cowboys in which they seemingly had the game won, now there’s this latest bombshell from Giants running back Rashad Jennings about the late game management in which he told reporters today that he ‘wasn’t to score,’ late in the game. Just spoke with Giants RB Rashad Jennings, who confirms that he was told in the huddle before first and second down, "Rashad, don't score." There was major confusion late in the game in which penalties and clock stoppages caused the Giants not to know the number of timeouts Dallas had at the end of the game. Jennings avoided the end zone on his runs to take more time off the clock, but the Cowboys called a timeout after each run. As everyone knows, they eventually got the ball back, marched down the field, and scored the game-winning TD with seconds left. After this revolution, the Giants announced that coach Tom Coughlin and QB Eli Manning would be available via conference call later today.